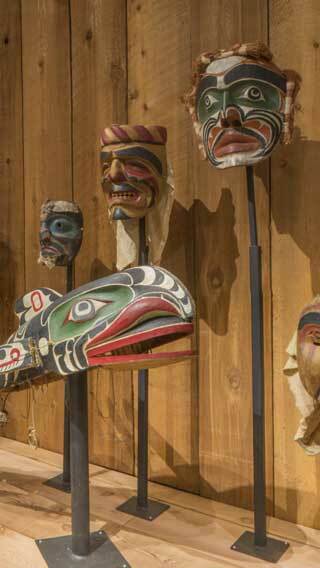 This virtual tour of the Potlatch Gallery at U’mista Cultural Centre comprises 6 different panoramic scenes, with links to high-resolution 360 images for each 3-dimensional object in the collection. *Please note the virtual tour requires scripting and will use a lot of data. If you are on a slow, or metered internet connection or do not have the ability to run scripts you can view the non-interactive version.